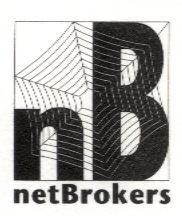 David Greenfield has extensive design experience, creating numerous logos, letterhead, posters, programs, business cards as well as other collateral for individuals, small and large businesses. Also experienced in Interface, Interactive, User Experience, Content and Curriculum, Greenfield has designed prototypes for games and educational software. Since 1995, he has designed and built websites for individuals, small businesses, schools and museums, including the websites for the University of Judaism, the Skirball Cultural Center. Remaining cognizant of relationships between forms and their fucntion (from the Bauhaus school). 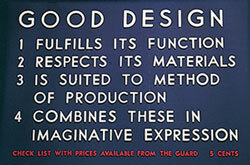 If we consider Marshall McLuhan's statement that the medium is the message, we see that one of the primary challenges of good design is to develop methods to implement these four ideas into practical applications, into a form that matched the media that is used to communicate, no matter what the media. There are processes and design criteria that can be utilized for this goal. Simplicity, sophistication and elegance are key components for good design. By limiting the use of multiple fonts, palettes, and images, designers can reduce eye clutter and distraction (unless of course, distraction is the goal) and to guide the user to a satisfying experience- be it commerce, entertainment or education. Integrating the Bauhaus idea of form and function promotes collaboration between designers and production people by insuring that the designs are appropriate for the media in which they are produced for. Understanding that each discreet media has unique capabilities for communication and/or achieving specific goals. For example, a movie will tell a different story than a book- movies utilize dynamic action and sound in a linear process, a radio broadcast is only sound and a comic book or poster is only static images that rely upon the imagination of the user). Designers must also be aware of navigation to insure that the user can move about a site (or image) in a manner that promotes the goal of the media. This can as simple using composition of contrasting shapes or colors in an image to move the eye about or as complex as the navigation tools on a computer, website or game to allow the user to explore and move about with the ability to return to the start (unless of course the goal is to not return to the start as in the computer game Myst). Although the ideas here are referring to images, and multi-media experiences, the thought process and practices involved can easily be applied to designing activities. Balancing time and action, creating more dynamic or less dynamic activities all help guide the users/participants experience in achieving the goals. The essence of good design is to affect, change or modify behavior through elegant solutions based on the intent of the design and the designer. This means that there has to be a clarity and understanding of the purpose of the design, the target audience and how the design is executed. This principal needs and can be applied to any object, process or action that requires thought and action- from designing an advertisement (what is being sold or promoted, who is the audience, what media is being used to communicate the message to the audience); designing a learning activity (the same questions, with the exception of the first which becomes “what is the learning outcome”); to designing a chair (what age group and size is this being designed for, what type of activity is this being designed for- waiting, relaxing, writing, etc). Arguably the most important word of the previous paragraph is “intent”. Identifying the goal, mission or result is the first step of good design, whether it is for a product like a vacuum (www.dyson.com), an advertisement (www.adage.com) or a process (making a left hand turn from a turn lane). The designers need to consider the purpose of their project and follow the steps necessary, which often require a bit of psychology, aesthetic and industrial design, game theory and more. The result of good design is seen in elegant solutions that guide the audience (user) to the target goal in a manner in which the user often is not aware of the actual process. Good activity design can and should use similar process and metrics, as do more tangible objects and activities. In Acting with Technology, Kaptelinin and Nardi define Activity Theory as seeking ‘to understand the unity of consciousness and activity. It is a social theory of human consciousness, construing consciousness the product of an individual’s interactions with people and artifacts in the context of everyday practical activity.” The intent here is first, to understand the relationship between human consciousness and activity, and second to build an interaction that bridges the two. For example, a recent popular genre in the movie industry is the horror film. Film designers (producers, screenwriters, directors, actors, etc) need to understand that there are certain affects, such as ominous music, surprise images that are out of the realm of most people (blood and gore), and timing that will achieve the stated goal of the film- to scare the living day-lights out of the audience. If these processes are not followed, the audience gets bored, leaves the film to tell their friends NOT to see it. This means that the primary goal (not stated) to make money as well as the secondary goal (to frighten the audience) is not fulfilled, making the activity (watching the movie) a failure. When the intent is clear to the producers, who then clearly communicate it to the rest of the participants, there is a greater chance of both goals to be achieved, making the film a success. Activity theory is also an important component of new media and interactive design. The expression “doing business as usual” is not relative to this media because it is such a dynamic media, it terms of the rapid development as well as that it requires the user to directly interact with the media to influence the outcome. Websites that provide a space for role-playing-games, ordering widgets, publishing news and any other function currently available (or will be available in the future) all require the designer to think of the goal of the site, the target user and the methods used. A well designed web site will leave the user satisfied with the experience and that it met whatever expectation that they had with the stated purpose (or not stated) . 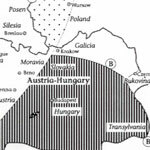 For example the goal of www.private-art.com is to teach about the experience of World War II through the personal letters of the soldiers at war to their loved ones. This provides a view to the human side of conflict rarely taught in school. The Smithsonian Institution built the web site History Wired to exhibit select objects in their collection by placing them within a historical, sociallogical context. Users esily navigate between different aspects of an artifact learning about the who, why where and what. A poorly designed will confuse the user and leave them with an experience similar to getting a traffic ticket for going the stated speed limit on the highway. Unfortunately, there are so many poorly designed sites, that it is difficult to select an example. In the end, good design functions as a method to affect, change or modify an individuals behavior, no matter what the media or purpose. One of the most important lessons that I have learned (and continue to learn) from my experience as an artist and graphic designer is the most important element of any successful design is communicating and interacting with the end-user. It does not really matter what the medium is, or what the project is- whether it be a vacuum cleaner, a newspaper, a game or a website. 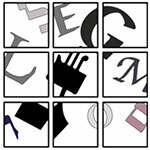 Each media has its own unique dialect- it is the task of the designer to discover a method for connecting with the end-users. This practical application of this philosophy is experienced daily in all aspects of human existence- from a static advertisement for selling mouthwash, to an interactive web site for promoting sprockets, to designing activities for education. Humans may perceive each medium and/or activity as possessing their own unique attributes – which they do- yet the process of designing, developing and creating for each, no matter the outcome, is very, very similar. On one level, it is possible to infer that we live in a world of multi- media and that good design impacts what we buy and consume, how we play and are entertained and how we learn. On another, grander level, perhaps through learning about the process of design on a micro-level (such as multi-media design), we can discover ways to become effective change agents in all of our pursuits and professions. As such, good design then becomes a collaborative enterprise involving multiple ideas and people in the pursuit of understanding a problem or challange that leads to a a solution through the design and appliaction a process, product or activity. One result of this type of design process is that the designers are always in a state of dynamic learning, creating communities of learners as well as communities of practice. "The context of the design problem is not just the people. You will need to understand as much as possible about everything that will affect the solution: what it is for, how it will work, how much it will cost, and so on. Each of the team members will need to listen and learn form all of the other experts to find out as much as they can about the context in a short, first burst of discovery, but without worring about not understanding everything." 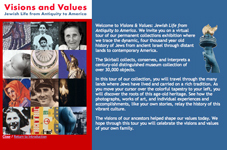 1999- Visions and Values was modeled after the Skirball Cultureal Center's core collection. The interface allows users to follow a linear path, similar to the actual museum experience, as well as a non-linear path based upon their own interest and curiosity. 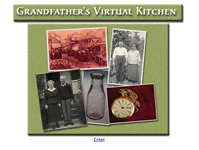 2000- Grandfather's Virtual Kitchen was developed in partnership with the Japanese American National Museum to explore the relationships between immigrant communities in the Boyle Heights neighborhood of Los Angeles. 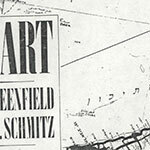 Based on the observation that no community exhists in a vacuum, this site used narrative to illustrate the intertwined stories of two immigrant families- one Russian Jewish and one Japanese. I presented a paper, Contextual Links and Non-linear Narrative: A Virtual Rashomon at the 2000 Museums and the Web conference, about the theories and ideas that informed this project (pre-dated social networking sites by 5 years). 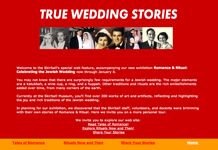 2001- True Wedding Stories was a companion piece to the museum exhibition, Romance and Ritual. Objects from the exhibition are combined with personal stories and images to illustrate the relationsips between personal and traditional wedding practices. 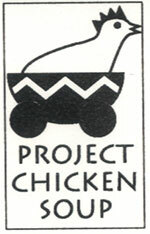 Web viewers were encouraged to share their own stories for the site. At that time, there were no real tools for social networking, so stories needed to be submitted to and vetted by the museum. 2002- Myer Myers: Historical Overview was a companion piece to an exhibition that originated at the Yale Art Gallery. I completly redesigned the site, changing the orientation and adding a liberal amount of content about the objects, time period and cultures. The Yale Gallery decided to use this site for the continuation of the exhibition.